Cigol Controls Limited has a wide range of experience in the design of control systems based on various PLC (Programmable Logic Controller) platforms and has expertise in all areas of PLC control system design. Our expertise also covers use of IPC (Industrial PC) devices. 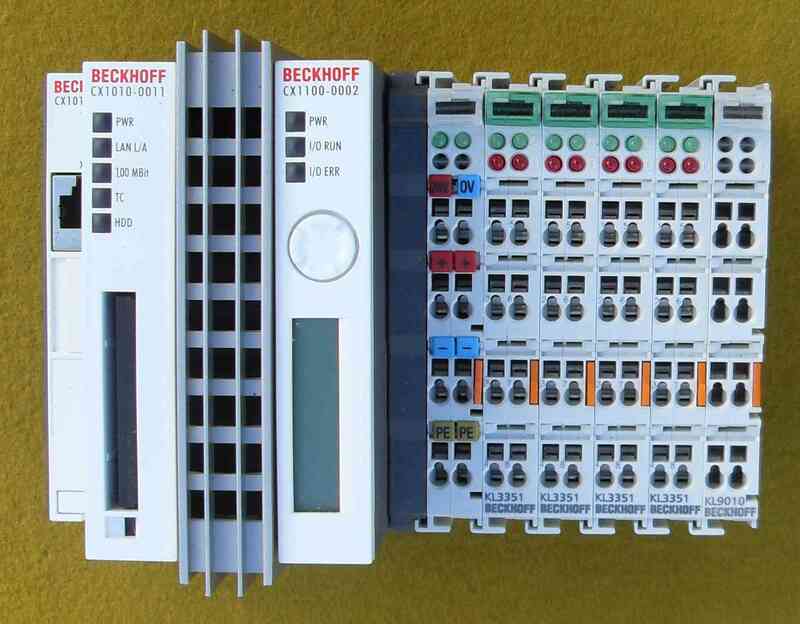 Recently our PLC system of choice is to use the range of controllers manufactured by Beckhoff. We have found the hardware they supply to be consistently of the highest quality and their development software is convenient to use. Their technical support is also first class. The flexibility provided by a Beckhoff CX5010 running PLC software (developed using any of the IEC 61131-3 languages) with inputs and outputs chosen to exactly match specific design demands from the vast range of Beckhoff i/o modules is unrivalled. We have also worked with the low cost Beckhoff CX1010.